In a sea of anti-aging skin care products, the innovators at Topix have introduced Replenix- the new, advanced wave of polyphenol based antioxidant treatments. 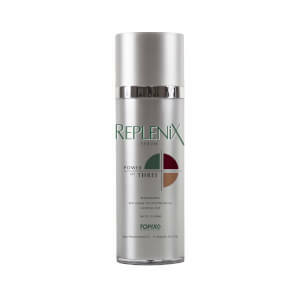 Replenix is a patent-pending formulation composed of 90% polyphenol isolates, derived from green tea, with potent antioxidant properties to assist in minimizing free-radical induced skin damage. Replenix is ideal as an anti-aging treatment, for rosacea & sensitive skin patients, or for post procedure. It truly sets the gold standard for antioxidant and green tea skin treatments. 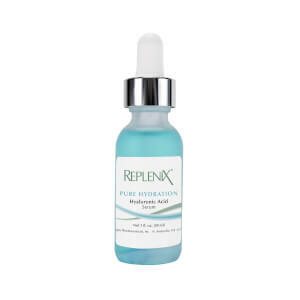 The light-weight, fast-absorbing water-soluble Replenix Serum formula contains the humectant, hyaluronic acid to deliver enhanced moisturization and improved texture, tone and overall skin appearance. Now fortified with caffeine to enhance the antioxidant properties of green tea. After cleansing the skin, apply to the desired area twice daily or as directed by your doctor. I like this product very much. It's easy to absorb and keep my skin looking radiant all day! I have been using this product for a few years now. The dermatologist first recommended it to me & sold it at her business. I found it cheaper at Skin Store. Not a heavy feeling & good for oily skin. It's simple, easy to pump & use, saw a healthy glow the following morning after my 1st use.. 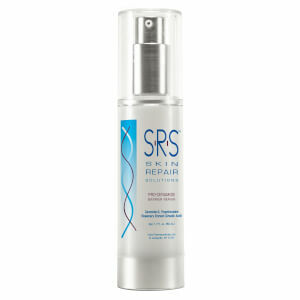 This is in rotation w/ the Glycolix 20 & 15% creams, & pure Retin A & I use at night.. Love this stuff! It is not something I would put on in the morning but I put it on at night and in the morning my skin is smooth and beautiful. Love it. WOuldn't use it in the morning because it looks a little shiny and it;s a little sticky. This is a super hydrator without any oiliness or shine. I put this on before my moisturizer just one pump (or two if you want to put this on your neck) does the trick. At night, I use a pump of Replenix CF and mix it with my SkinCeuticals Retinol 1.0. It allows for easier spreadability of the retinol and provides added moisture. A little expensive but it lasts for at least 3 months. I use this product as a moisturizer for my oily skin. I only have acne on my chin so I use a strong product to dry it out and this replenix serum is the ONLY lotion I can use as a daily moisturizer without causing more breakouts or really shiny skin. I really love this product for my face and neck. It goes on very smooth, dries immediately, and has no strong scent (which I personally love about it). 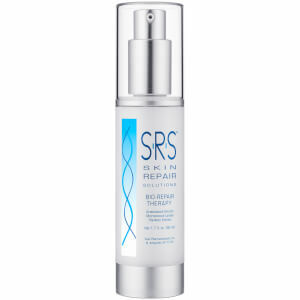 I have been using this product under my sun screen, etc., you can see a big difference, monthly breakouts have stopped. The large pours on the nose area are not even visable. A must for me, helps keep my skin smooth with or without makeup. Only wish the bottle was a little larger for the price! I use sparingly except the trouble areas, like the nose :) really tightens them up! Amazing Product & Immediate Results! I was at the end of my rope after a product I was using was discontinued. I tried so many different products and have been very disappointed until I found this! I purchased this in conjunction with Topix Replenix CF Anti-Photoaging Complex SPF 45. After 3 kids my skin changed into something I didn't know how to treat. I went from oily skin, but not prone to breakouts, to skin that was dry, red and would get more red throughout the day, then become itchy and bumpy at times. I would also get huge pimples under my skin at my chin area when my period was about to start. Literally, after a day of using the two products from Replenix I felt an immediate relief. It's been a month and I didn't have my monthly breakout either! I am a believer!!!!!! An estitician recommended this to me for my roseacea.I can't use many anti aging products becouse of my skin sensitivity.I also have oily skin so I prefer serums over moisturizers.I have seen an improvement in my skin since I started using this a year ago.My face is alot less red.I have clarity and smoothness that I've never had before.I don't have wrinkles yet but I was told this is a wonderful anti aging serum as well as roseacea treatment.A little pricy but worth it.I have to buy a new one every four months. I have tried just about every anti-aging serum product available on the market (not quite true, but it feels like it sometimes). I first learned about this product when I read Dr. Amy Wechsler's latest book. It was a product she recommended as it contains both caffeine and green tea (both proven ingredients for anti-aging). I decided to give it a try and have been using this product for about 2 weeks now. The results... I LOVE IT! My skin was in good shape before, but now it's even better. I have seen improvements in the texture, firmness and overall youthfulness. I am officially sold! This will be a product I will continue to use (day/night). If you're browsing for that serum that does make a difference look no further. This is it!!! !